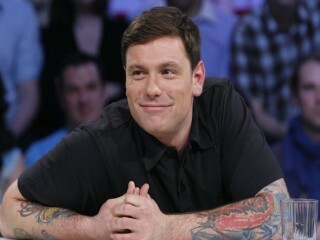 Chuck Hughes is a French-Canadian chef, television personality, and restaurateur. He is the chef and co-owner of Garde Manger and Le Bremner, located in Old Montréal, with partners Tim Rozon and Kyle Marshall Nares. It was Chuck’s mom who suggested he turn his affair with food into a full-time relationship. He enrolled in culinary school, started working in Montreal’s hottest kitchens and hasn’t looked back since. Chuck competed on the American cooking show, Iron Chef America, defeating Iron Chef Bobby Flay, becoming the youngest Canadian chef to win, and only the third to do so. In 2006, Chuck and his two best friends opened their own place, Garde Manger. Set in the heart of Old Montreal, this den-like restaurant is where Chuck puts his magical spin on comfort food as unique as its chef. The restaurant quickly developed an almost fanatical clientele of locals and tourists alike. The New York Times was “impressed that a place as rollicking as Garde Manger chooses to pay such close attention to what’s coming out of the kitchen” and the Today show raved about Chuck’s seafood platter. In 2010, Chuck invited the world into his Garde Manger kitchen with his television show, Chuck’s Day Off, which followed him cooking for friends, family or suppliers on the day his restaurant was closed. Sandwiched in between the mouthwatering recipes were rock ‘n’ roll reality segments that gave the viewer insight behind the scenes of one of the city’s hottest restaurants. The show started airing on the Cooking Channel in May 2010 to great response. The show is now in its third season and airs in more than 20 countries. It has garnered three Canadian Gemini nominations, and Chuck has received the Best Host Award from the original Factual Entertainment Awards in Santa Monica, Calif., which honors top international entertainment programming from around the world. For Chuck, the most defining moment of his career took place this year when he walked into New York City’s Kitchen Stadium and became the youngest Canadian chef to win on Food Network’s popular Iron Chef America. He also became the only Canadian chef to beat the legendary Bobby Flay. The secret ingredient? Canadian lobster. Rounding out a terrific year, Chuck can also be seen on the upcoming season of Food Network’s The Next Iron Chef: Super Chefs, where he will join an all-star group of chefs including Anne Burrell, Michael Chiarello, Elizabeth Falkner, Alex Guarnaschelli, Robert Irvine, Beau MacMillan, Spike Mendelsohn, Marcus Samuelsson and Geoffrey Zakarian as they compete for the ultimate title of Next Iron Chef. And on Cooking Channel, Chuck is taking a break from the daily grind of running his two restaurants as he trades in his black T-shirt and apron for a pair of shades and sunscreen as he travels to Mexico in Chuck’s Week Off: Mexico. Join Chuck as he makes his way across the country in search of culinary adventures and authentic Mexican food. Also this holiday season on the Cooking Channel, Chuck will be serving up his first Christmas special, entitled Chuckmas. Teaming up with his partners again, Chuck opened a second restaurant, Le Bremner, in Montreal this August. On top of that, it appears that Chef Chuck Hughes is passionate about food, so that his favorites ones are tattooed on his arms — bacon, lemon meringue pie, lobster and arugula, to name a few. View the full website biography of Chuck Hughes.